Going Back to Tel Aviv - Who's the Mummy? It’s almost a year since I was invited to visit Israel with a non-profit organization called Kinetis, to discover the Israel behind the headlines. That trip was a real game-changer for me. At the time, my working life was complicated, and I loved meeting so many inspiring women, who were just Getting Things Done, regardless of the obstacles people tried to put in their way. Of course, nobody goes to Israel without being aware of the divides that exist there – physical, political, economic and military. But there’s more to the country than just its politics – and so I was delighted to be invited to speak at Israel’s first blogging conference, BLOGO. The conference was organized by the website Saloona. I met Ronit, the editor of the site, on my last trip to Israel and I still remember her disdain of websites for women that are pink and focused exclusively on child-rearing. “We are women of the world, and we won’t patronize anyone. We write about the whole world,” she told me. I LOVE that philosophy. LOVE it. The conference was great and – as you’d expect in Israel – I met a lot of geeks with great ideas I want to implement RIGHT NOW, so I’ve come home with a bucket-load of business cards and head-full of inspiration. In July the weather is hot (mid 30s) but Tel Aviv’s Golden Beach is the perfect place to settle down with a cold beer and a plate of hummus while watching Israelis playing matkot on the beach. And ice coffee – Israel has the best ice coffee, as well as the most amazing fresh lemonade with mint in it. 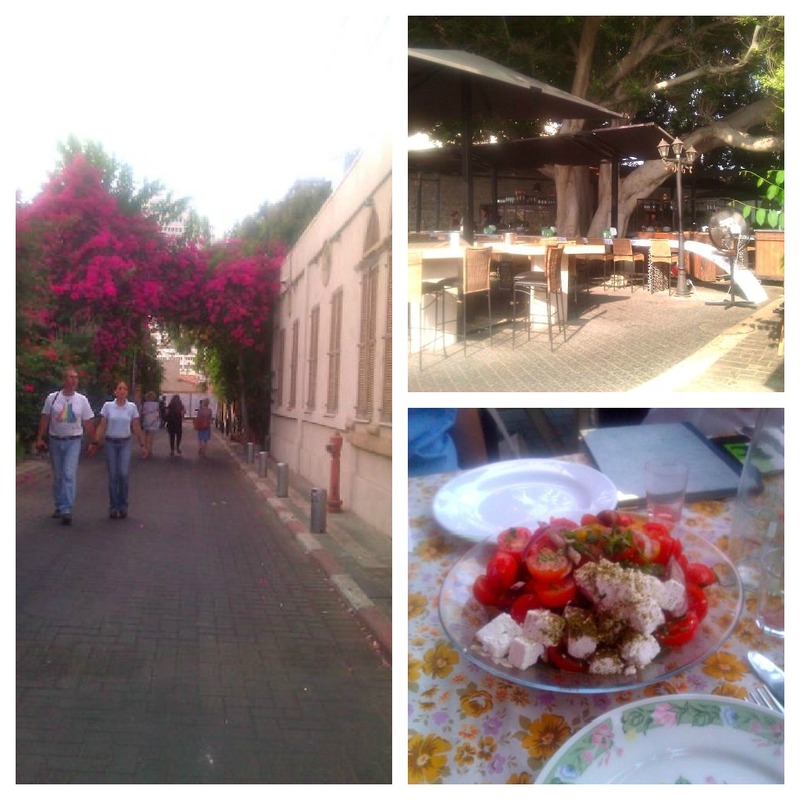 On this trip, my friend Adi from Kinetis took us to explore the funky district of Neveh Tzedek in Southern Tel Aviv, which has narrow streets filled with fashionable shops and restaurants, with heady scented flowers tumbling from the walls of ancient buildings. There’s a very cool 19th Century train station here that’s been converted into a shopping area, with designer co-ops, and a wonderful tapas restaurant. I got to stay in a wonderful hotel where my suite had floor-to-ceiling windows with city views, and Israeli art works and tapestries all over the walls. And we even had the opportunity to grab breakfast in Jaffa, followed by an expedition where I tried to work out how to mime “Tampons” to a shop keeper who only spoke Hebrew. Challenging. The conference went brilliantly (well, the Tweets about it were in Hebrew, but they were almost certainly compliments, right?) and I managed a whole business trip without missing a flight, incurring a serious injury or losing anything which I think is a first for me. I even got to catch up with the wonderful Susie from New Day, New Lesson, who is always so generous with her time and advice. So – Good Times. But still – nothing beats coming home again. So we spent a lovely day yesterday on a beach that was a good 20 degrees colder than Tel Aviv, and didn’t have any men playing Matkot – but it was still a hundred times more fun than Tel Aviv, because Flea was on it. Next Post The one where we get burgled. Can’t believe it’s a since your last trip! I worked on a kibbutz once, very funny times but hold lots of lovely memories. Iced coffee was AMAZING then as well! It was great seeing you too. When your ready to visit with fkea, I have a guest room. Always good to learn a new word – thanks! Sounds like an amazing experience. Glad the trip went well. Thanks, Ruth, it was amazing as ever! Thanks for the lovely recap of your trip. I see Adi took you to some great places in Tel Aviv. From the tweets, Blogo sounded like an amazing sucess and hopefully next year I’ll be there in person. It really is always great when you get a lot of opinionated, enthusiastic bloggers in one space, I think. I think you should vlog your mime. In fact, I’d pay to watch it! 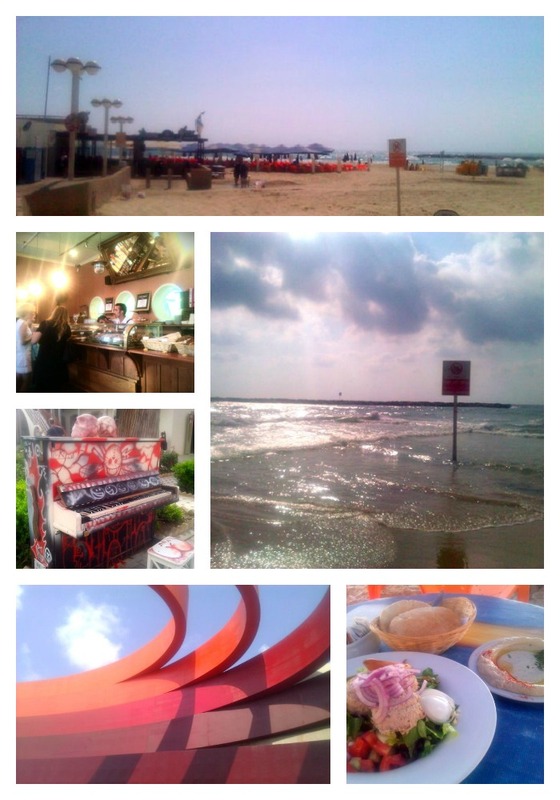 Thanks, I really do love Tel Aviv, it has great energy. Hey Buddy!, I found this information for you: "Going Back to Tel Aviv". Here is the website link: https://www.whosthemummy.co.uk/going-back-to-tel-aviv/. Thank you.